Recently, there has been an increase in mistrust regarding the political establishment. Forms of expressing this disconformity have been at the centre of public and academic discussion. Countercultures, as attempts to find an alternative to social conformity, are central to these expressions of dissent. Books like Angela Nagle’s Kill All Normies: Online culture wars from 4chan and Tumblr to Trump and the alt-right (2017) highlight the resurgence of youth subcultures in the last decade. Correspondingly, counterculture movements on both sides of the political divide have seen their numbers multiplied. Art, fashion, literature, cinema and music have historically been vehicles to express and disseminate dissent. From the murals of Diego Rivera to those of Banksy, and from the Romantic Jacobins to the South African EFF, dissenting and countercultural movements have used the arts to stand against powerful social institutions. Likewise, countercultural movements have found their way into the politics of those who want to preserve the existing social structures. Donald Trump’s promise to ‘Drain the Swamp’ while reinforcing conservative values appealed to a large mass of US voters who saw the rise of the left as a menace to their lifestyle. In this context of anti-establishment sentiment, large corporations, too, have made use of the aesthetics of dissent for private gain, as was the case with Pepsi Co.’s controversial Kendall Jenner ad. Issue 26 of FORUM engages with a range of disciplines that engage with the notions of counterculture and dissent. Review Team Autumn 2017: Enti Arends, Tamara Browne*, Rachel Chung, Richard Elliott*, Miklas Fahrenwaldt, Kiefer Holland*, Anna Kemball, June Laurenson, Dorothy Lawrenson, Kyriana Lynch*, Beata Migut, Aija Oksman, Alycia Pirmohamed, Vivek Santayana, Julie Sorokurs, Marianne Tyvand, Toni Velikova, Article editors are marked with a (*). From the earliest traces of etchings on stone tablets to the emergence of Kindles and e-readers in contemporary society, humans have invented platforms for the creation and dissemination of text. Implicit in each textual object are the figures of the reader and writer and their differing engagement with the work. But what does it mean to be a reader or a writer, and how does each role play a part in the shaping of a text? In 1967, Roland Barthes famously proclaimed the death of the author, arguing that it was for the reader to instil meaning in a text. Barthes’ essay questioned the existing hierarchy of writer above reader, and initiated new discussion on their roles. Reader response critics such as Hans Robert Jauss have also considered the impact of an individual’s experiences on textual interpretation. What effects have such theories had on previous understandings of the reader/writer relationship? How can we conceptualise these roles in an increasingly complex literary and textual environment? It is not only the experiences of the individual reader and writer that are interrogated. We can now ask what role the market plays in redefining these two figures. Robert Darnton’s Communication Circuit draws attention to socio-political and commercial forces that impact the creation, production and distribution of a book. How do such models complicate the dialogical relationship between reader and writer? How do literary devices alter our perception of the reader/writer figure? Those such as frame narratives and epistolary forms place readers and writers at the centre of the text, while the found manuscript and false document conceit in fiction work to remove the presence of the author in order to foster verisimilitude. What do these metafictions say about the changing social, cultural and intellectual nature of reading and writing? Issue 23 of FORUM engages with a range of disciplines that consider the topic of readers and writers. Review Team Winter 2016: America Archer*, Emily Bartran, Suzanne Black, Brad Copper, Mila Daskalova*, Mary Dodd, Cristina Dodson, Paulina Drégvaité, James Gilbert, Katie Goh, Charlotte Kessler*, Harry Leonard, Kate Lewis Hood*, Harriet MacMillan, Emanuela Militeuo, Bridget Moynihan, Carolina Palacios, Robyn Pritzker, Sian Roberts, Toby Sharpe*, Dylan Taylor*, Marianne Tyvand. There has been a significant shift in the boundaries between the private and public realm in recent years. The increasing indistinction between the two spheres has multiple causes, among them the rise of identity politics and the popularity of the confessional mode. The former might be said to underwrite the latter: the feminist rallying cry, ‘the personal is the political’ providing a substantial justification for radical autobiography. The motto continues as a cornerstone of feminist consciousness, as well as other forms of identity politics (after all, the agora remains predicated upon exclusion to some degree), but the ongoing consequences for public discourse are unclear. Some suggest that the privileging of positions based upon more and more specific identities promotes a form of narcissism or victimhood which threatens collective agency and the possibilities of larger conceptions of ‘the public good’. While identity politics and the confessional mode have contributed to the enlargement of ‘the private’, the increasing dominance of the corporate model has led to the erosion of what has traditionally been conceived of as ‘the public’, most notably in the commercialisation of the media, and the edging out of the public-interest model. Institutions such as museums, universities and schools have also become defined by the corporate paradigm, and public space is increasingly no such thing. New technologies, in particular social media, have played their part in blurring the boundaries between public and private, formal and informal. Has there been a retreat into private and individualised experience? Have the critical languages that might abstract this individualised experience been largely abandoned in favour of the logic of spectacle? What constitutes the public sphere in the contemporary moment? If the traditional notion of the public sphere involves a ‘top down' model, what are the possibilities for the ‘bottom-up’ paradigm offered by the commons, and enabled by online networks? Issue 21 of FORUM engages with the debate about the distinctions or indistinctions between the private and public spheres. The role of matter has often been marginalised in much of philosophical thought. Rapid scientific and technological advances in the twentieth century, however, have since heightened the awareness of our place in the world as embodied human beings. This has revealed a pressing urgency to confront the ethical and political implications of our material practices within the dynamic terrain of contemporary times. As such, recognising the importance of material factors has led to an emergence of ways in which our prevailing understandings of material reality can be transformed. These recent accounts of a new materialist philosophy call for a redefinition of matter: not an inert or passive substance as traditionally conceived, but rather that which is in possession of an inherently unpredictable force and vitality. Investigations into the agency of matter are currently occurring in areas such as material culture, ecocritical discourses, material feminisms, and science studies, where material reality has been given particular emphasis. This is not an abandonment of historical legacies of materialist thought, but an attempt to reconsider the notion of matter in the face of various geopolitical and biotechnological forces acting in the world today. The turn to envisioning new processes of materialisation thus attempts to cultivate a paradigm that rethinks the dualities of nature and culture, language and reality, mind and body, and the human and the inhuman. As an emerging interdisciplinary field, the new materialist studies precipitate a radicalisation of what ‘matter’ truly means. Review Team Autumn 2014: Sybil Adam, Chiara Amoretti, Valentina Aparicio, Enti Arends, Georgina Barker, Meg Bartlett, Sarah Bernstein, Nina Bickett, Jane Bonsall, Dorothy Butchard, Natalie Carthy, Victoria Chang, Mingyuan Chen, Lijiaozi Cheng, Chang-Ting Chou, Beth Cochrane*, Hannah Collins, Christian Cooijmans, Glynnis Cox, Poppy Cozens, Muireann Crowley, Marta Dabrowka, Mario Delgado, Will Dudding, Valentina Flex, Carlos Fonseca, Katie Hawthorne, Beide Hu, Tian Jin*, Alice Kelly, Jeremy Klemin, Rob Lederer, Anna Leibing, James Leveque, Beatriz Lopez, Clara Martinez, Dominique Mason, Iain McMaster*, Aoife McNeice, Gena McNutt, Marianne McRae, Alba Morollon, Bianka Nedjalkova, Diane Otosaka, Carin Pettersson, Fiona Piercy, Alistair Robinson*, Gabi Roth, Aidan Ryan*, Feroz Salam, Cat Schaupp, Denis Schröder, Justine Seran, Sarah Sharp*, Jasleen Singh, Nick Spengler*, Jessica Syers, Tomas Vergara, Jacqueline Wallace, Annie Webster, Grace Wilkins. Article Editors are marked with a star(*). As writers and academics we fear having our work criticised as clichés; yet, we continue to repeat and overwork certain ideas of the brink. If we are to believe Marshall McLuhan, “it is the worn out cliché that reveals the creative or archetypal processes in language as in all other processes and artefacts” (Cliché to Archetype 127). The pursuit of newness requires us to label precursors as old and eventually worn out, thereby rendering them cliché. At the same time, a phrase, symbol, or trope would not be used to the point of cliché if it did not continue to strike a chord with so many artists or thinkers. Clichés are cultural relics reread and relocated as benchmarks for new art and interpretation. Gilles Deleuze argues that cliché comes pre-printed on a blank canvas, and though the artist attempts to subvert cliché, the action is too intellectual or abstract and the result is either the same cliché risen from the ashes or disguised as a parody. Similarly, Umberto Eco argues that by employing multiple clichés a narrative moves beyond the creators’ control. These writers suggest that cliché has a sentience or at the very least a pulse in our culture. If clichés are unavoidable or perhaps even necessary, why are they feared or disdained? 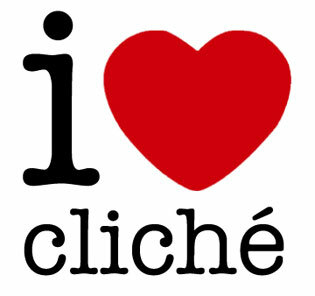 What are the parameters that move an idea from archetype or symbol to cliché? When, if ever, are clichés appropriate? It seems that you can’t keep a good cliché down, that you’re damned if you do and damned if you don’t, but perhaps if cliché is handled properly, all’s well that ends well. "There are in every man, always, two simultaneous allegiances, one to God, the other to Satan. Invocation of God, or Spirituality, is a desire to climb higher; that of Satan, or animality, is delight in descent." Charles Baudelaire, Flowers of Evil, My Heart Laid Bare. For the Spring 2012 issue of FORUM, we have gathered articles which explore representations of the sacred and sacrilegious. Deriving from the Latin verb sacrare, to consecrate, the word sacred initially and inevitably summons thoughts of gods and religions, worship and veneration. One of its antonyms, sacrilegious, etymologically originated from sacrare and the verb legere, to gather, to steal, oftentimes spawns images of violence and violation, heresy and blasphemy. However, the sacred and sacrilegious does not merely apply to theological matters but can be delved into from a literary, cultural and artistic perspective. Since the 19th century in particular, the sacred was central to a revival in so-called 'primitive' concerns; but modern materialist and psychoanalytic theories of taboo, sacrifice, and magic revealed in the sacred the traces of social construction and psychological force otherwise obscured by centuries of tradition. A wealth of modernist literature and art conceived society and the self, rather than the supernatural or divine, as the sites of the distinction between the sacred and sacrilegious. Moreover, contemporary philosophy and theory revived the ambivalence in much of the language of the sacred in literature, philosophy, and politics - such as Julia Kristeva's conception of the sacred as either potentially pure or abject. Nowadays sacred has even come to mean merely something that we honour, 'our precious', and sacrilegious is often tantamount to unorthodox or heterodox. In the 20th and 21st centuries, what notions of the sacred still capture us with a sense of awe; what forms of sacrilege, if any, do we still find repellent? Does the transition from the sacred to the sacrilegious (or vice versa) hold real meaning or is it a mere formality of self-appointed practitioners? Do literature, art and film only stand as adamant witnesses of the alteration in the meaning and significance of these two words throughout history, or do they have an active role in changing our understanding of the sacred and sacrilegious? The Autumn 2011 issue of Forum explore issues relating to representations of revenge, in literature and film. The articles selected for inclusion discuss many of the motivations for, and responses to, the creative portrayal of acts of vengeance. These articles have been chosen for their breadth of theoretical approach and wide ranging chronological focus, in the hope of presenting an issue which surveys several creative manifestations of the revenge plot, reappraising the aesthetic and cultural implications of this "compelling mix of ingredients". Editorial Review Panel: Alicia Broggi, Alison Garden, Anna Sophia Watts, Caoimhe Rehill, Cecilia Bennett, Charlotte Hoare, Cosima Amelang, Eleanor Marsden, Emily Doucet, Emily Foister, Ersev Ersoy, Eystein Thanisch, Fionnuala Ruth Clara O'Neill, Gabriele Grundzinskaite, Ioana-Elena Batis, James Leveque, Jessica Johannesson, Jo Hsu, Katherine Stewart, Katie Zaun, Kwasu Tembo, Laura Jane Routledge, Lena Schneider, Lizzie Stewart, Maxim Shadurski, Melissa Rogers, Michael Munnik, Michelle Devereaux, Natalia Esling, Natasha Simonova, Nathalie Weidhase, Nelly Reinhold, Nicola Bieg, Nina Malaika Engelhardt, Qianwei He, Roisin McKelvey, Ross Jamieson, Samantha Porter, Sarah Sharp, Stephanie Spoto, Sophie Clarke, Sophie Heuschling, Thomas Whitehead, Victoria Anker, Wiktoria Parysek, Yaqi Pang. With the invention of the internet - that infinite cyber space - our world has both radically expanded and contracted. Opened up, as our practice of interacting with others has been drastically changed; but contracted, as this freedom has altered our experience of spatial distance forever. Older technological advances, such as the invention of air travel, initiated this movement by enabling us to traverse and therefore grasp space in new ways. But it is not just our conception of material space that has altered; the impact has also changed our experience of mental space as well. Our world, our cities, our domestic, private, and public spaces have undergone a drastic re-definition; these new spaces have forced a change in our understanding of the nature of space itself. How do we approach these changes and the questions they raise in film, art, music, literature, theatre, and media? In what ways have our changing relations with space altered our understanding of previous spatial conceptions? What does the future hold for our sense of space in a world composed of so many different kinds of spaces, non-spaces, and gaps in space? These changes have affected not only physical and mental space, but the very idea of space itself - its boundaries, its construction, its manipulation. To speak of space in these terms suggests that it is graspable, controllable, and claimable; how does this conception of space relate to the idea that it is negation itself? What exactly are we talking of when we try to articulate "space"? Voice stands as a defining feature of the arts; even its absence is crucial to interpreting meaning. The issue of voice is central to cultures throughout history, to different genres, styles, and periods. A voice of the people, a voice of one's own, and a writer's voice - each depicts the importance of voice to subjectivity and subject-formation, to origins and originality. Stephen M. Ross describes voice as the essence of a story, noting that "a story - its persons and places, its deeds and disappointments - may be nothing more than the voice that tells it." The same is true for a story told in any medium, through art, music, film, drama, literature: it has, in Ross's words, "no existence without voice, before or after voice, beyond or behind voice." Voice serves a crucial role in the development of our own subjectivity and sense of identity, but can there be such a thing as an objective voice? We need to problematise the concept of voice, its possible meanings and implications. How can voices be employed and created in different mediums, and to what effect? Who is given a voice, to whom is it denied, and what are the implications of voice versus silence? And what of non-human voices? How are voices used in dialogue to explore, to express, to create, to question? How has voice been wielded to achieve such aims, and can it be? Can it be truly captured, can it be manipulated? Technologies allow us to interrogate what material objects, techniques and systems of knowledge are made and how they are produced. The 8th issue of FORUM engages with a range of questions concerning the definitions, meanings, applications and representations of technologies. The three guest articles by distinguished technology scholars deal with technologies and embodiment in Doctor Who, Marcuse's aesthetics, and the figure of the independent inventor. The following articles explore the significance of technologies across the fields of literary and film studies, history and art history as well as media studies. The wide variety of articles from different disciplines highlight the interdisciplinary nature of technologies, and the complexity of the term 'technology' itself.